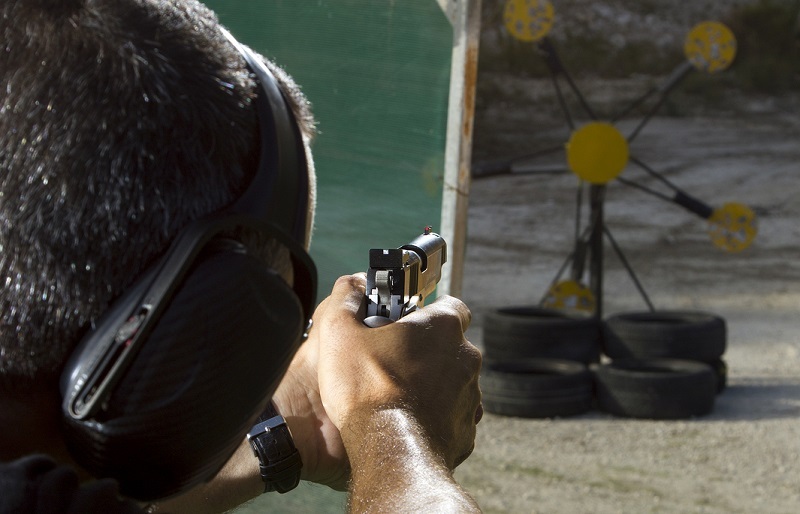 Reactive targets are put simply targets that react when you shoot them. It's a pretty broad term and it can mean a lot of things, but commonly the target will move or do other things once struck by a bullet. Reactive shooting targets are a lot of fun and are also incredibly useful tool for building marksmanship skills, so don't just dismiss them as a gimmick for making range days more fun. A reactive target can take a number of different forms and serve a variety of needs. There are reactive steel targets, reactive paper targets, and also reactive pistol, rifle and shotgun targets. In short, it's a shooting accessory that any sort of shooter can use, be they a handgun operator who carries for defense, or hunters of fowl or big game - or both. They're also great for people who just like to go plinking every now and again. Plenty of people fit all of the above too. The value of reactive targets is many are smaller than a typical paper or other target. A shooter can thus practice placing groups in smaller spaces, a vital skill for anyone who needs to put a round where it needs to go. That's the basis of good shooting in a defensive situation and a core value of ethical hunting; the former to dispatch a threat and the latter to ensure game is harvested and doesn't suffer. 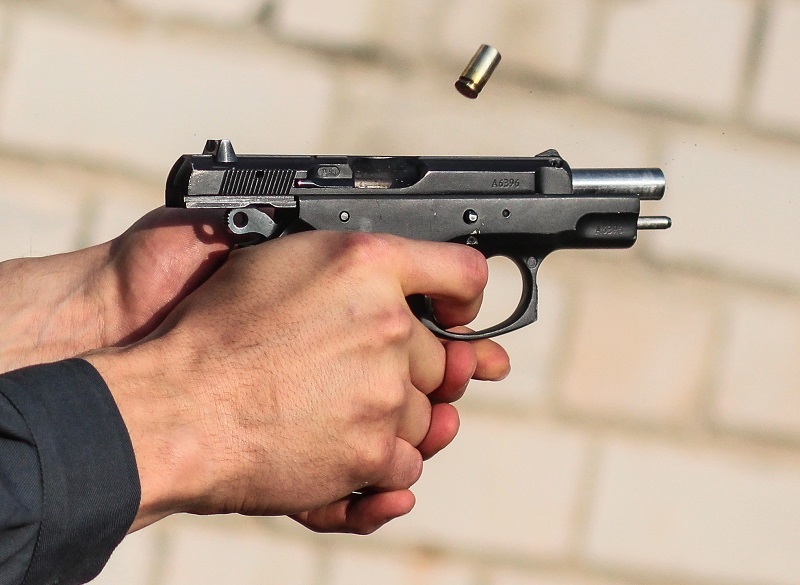 Whatever kind of shooting you do on any sort of regular or irregular basis, there's a reactive target that will fit your needs. There are several types to be aware of. One of the most common types of reactive target is of the spinning variety. There's really not a whole lot to know - you shoot 'em and they spin. Many different types abound. Tree-style spinning targets, for instance, often have a steel paddle mounted to a center pole via a sleeve of some sort. Shoot one and it spins. A common type is the "dueling tree" variety, where each a few targets are oriented to the right and a few to the left, with each side being color coordinated. Two shooters "duel" to see who can hit the most targets, or hit all of them the quickest, etc. There are also single spinning targets, where just one sits on some sort of frame. 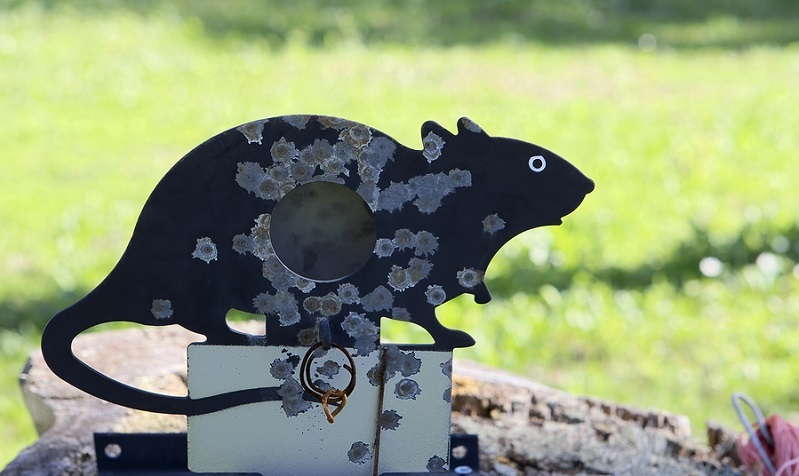 Steel targets in varmint or other animal shapes are quite popular. Steel is obviously popular, but so is "self-sealing" hard foam or plastic, which swells after a puncture and partially seals the hole, extending the life of the target. Then there are bowling pin targets, where a bowling pin is mounted on a bar. Hit the pin and watch it spin. And now for more...stuff...like gong targets! Gongs are one of the most popular reactive targets and also one of the most valuable forms of marksmanship practice for long-range shooting. For the big-game hunter, a gong target is one of the best. Since so many sizes are available, you can practice grouping shots in smaller spaces at long range. If your aim is put down a deer, elk, moose or other big game animal cleanly, ethically and with minimal suffering, shot placement is absolutely critical. 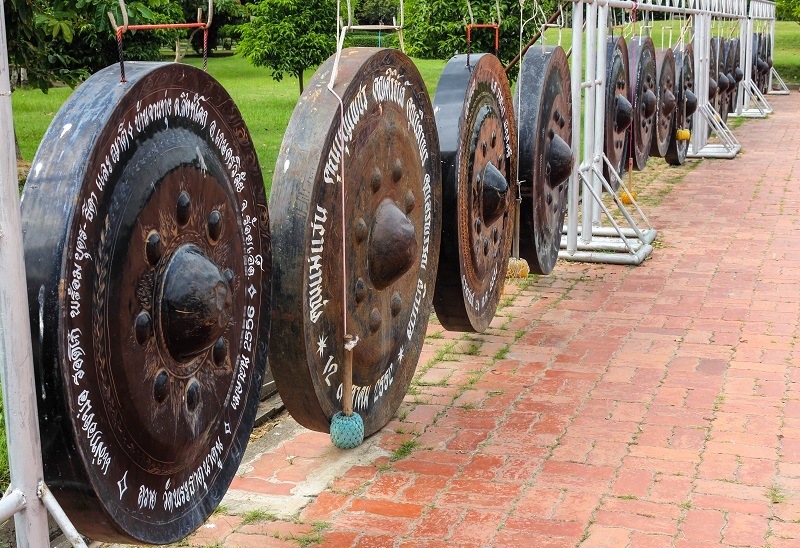 Gong targets are perfect practice. Plus it's just fun to hear them go "gonnnnng!" Popping or popper targets are essentially steel paddles that rotate at a base, but have a restricted length of rotation - thus, you shoot one, it goes "ping," the target falls back but then "pops" back up. 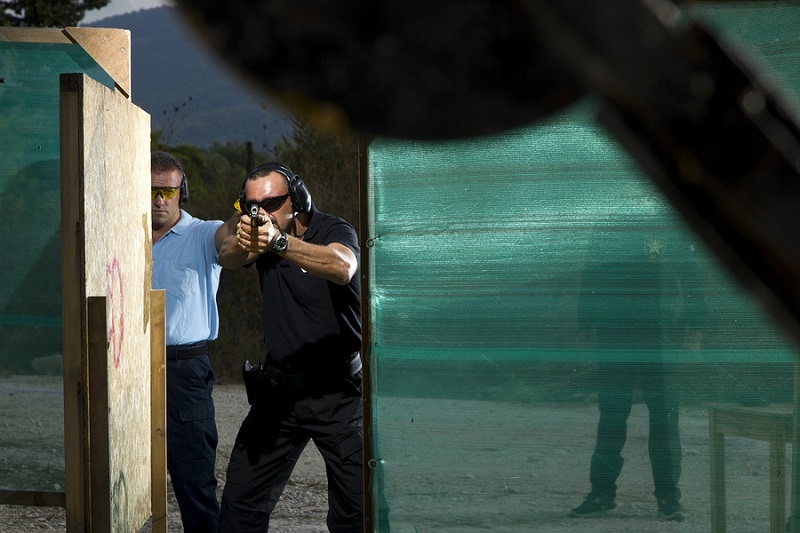 Popping targets can also be a suspended plate behind a stationary target, usually about torso-sized. You try to knock the backplate down when you shoot - great practice for trying to hit vitals, whether practicing for a potential attacker or tasty critter destined for the freezer. Jumping targets are designed with triangular legs, so they "jump" when they're hit but land on their "feet" and stay upright. These can be steel or hard foam. The latter are incredibly light, so if your range bag is a smaller affair, they are a fantastic addition. They can be as large or as small as you like. The smaller jumping targets are fantastic practice, as you have to reacquire the target and aim after every shot, which is great practice for shotgunners who hunt ground-hugging game like rabbits, grouse and the like. Keeping it jumping at a steady clip is reaching expert levels of marksmanship. 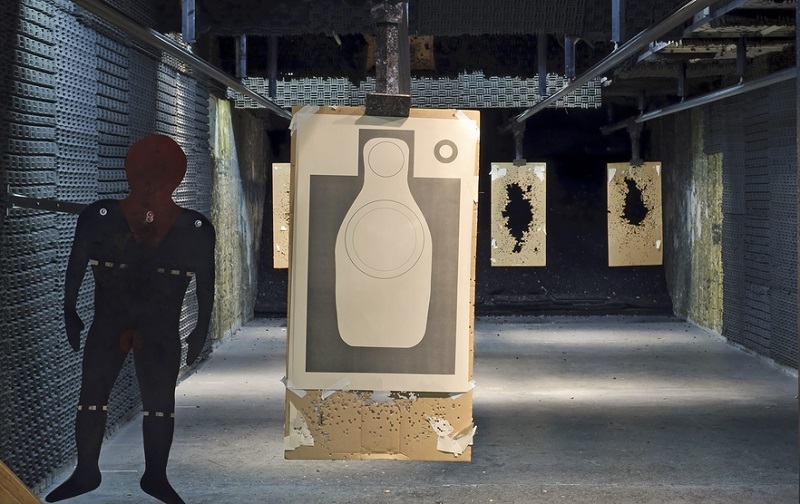 Reactive targets are some of the best shooting practice you can get. Concentrating fire on a smaller location means that over time, a shooter will be able to place a bullet where it needs to go, which is a vital skill both defensively and for acquiring the uber-tasty bounty of nature. Granted, such targets CAN get a little spendy. A full gong target with all the supporting hardware and mounting can easily run in excess of $100, as can some of the other mentioned reactive targets. However, that's an easy investment to make if it makes you a better shooter. Plus, it's fun to hear stuff go "ping!"